The Government has set out the details of a new regime for asylum seekers to access the labour market, over a year after the absolute prohibition on employment was ruled unconstitutional. A temporary regime, criticised by immigration practitioners for being too restrictive, was put in place after the Supreme Court struck down section 9(4) of the Refugee Act 1996 in February. 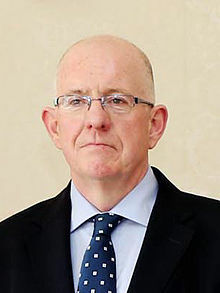 Justice Minister Charlie Flanagan said the new regime represented the entry into force of the EU (recast) Receptions Conditions Directive. Asylum seekers will have access to the labour market nine months from the date when their protection application was lodged, if they have yet to receive a first instance recommendation from the International Protection Office, and if they have “cooperated with the process”. Eligible applicants may apply to the Justice Minister for a labour market permission, which covers both employment and self-employment. The Labour Market Access Unit (LMAU) of the Irish Naturalisation and Immigration Service (INIS) will process applications. The permission will be granted to eligible applicants for six months and will be renewable until there is a final decision on their protection application. Eligible applicants will have access to “all sectors of employment”, with the exception of the Civil and Public Service, An Garda Síochána and the Irish Defence Forces. He added: “These measures are a further step on the road we have pursued in recent years to significantly reform our protection process.